There is a new trend in breastfeeding called exclusively pumping and it’s becoming the go-to for many mothers who want to give their babies nature’s liquid gold, but in somewhat of a less traditional way. So what is it like to be an exclusive pumper? Well, I’m about to fill you in on a lot of what you want to know about exclusive breast pumping. I consider myself somewhat of an expert on the topic, after pumping exclusively for almost 11 months straight. I hope you find a lot of good information in this read. There’s lots more where this came from! Exclusively pumping is the means by which to provide your baby with breast milk without the act of nursing. The breast milk is expressed with the aid of a pump or manually expressed and then put into a bottle to feed to baby. Exclusively pumping is by no means an easier road than traditional breastfeeding. It comes with many of its own challenges and a steep learning curve. The process can often become an expensive endeavor as well, with all the new gadgets and next best breast pump that promise to get the job done better and faster! 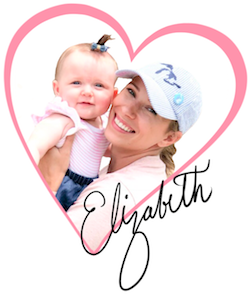 If this is a journey you are considering, curious about or just really need more help navigating through – please consider this online pumping course I created as an option to help you not only survive exclusively pumping, but thrive! If you’re looking for pumping supplies and how to use them, you should head over to these reads next:Exclusively Pumping Supplies Essentials or Making Sense of Pump Parts. I have learned the hard way why the right breast pump is so important! After purchasing two on my own and one for free from insurance. I now know all breast pumps are not created equal. PISA (pump in style advanced). It is a strong and sufficient pump and gets the job done, but not without a lot of discomfort! If you’re a tough momma and think you can handle this pump’s intense tug, it is a great option. The other fan favorite of exclusive pumpers are Spectra breast pumps. I jumped on this band wagon, thinking this would be the pump that would change my plugged-in life. I do love this beast pump, it is a great choice for a hospital grade pump. P.S. You will find yourself willing to try and buy anything that saves a busy and tired mom any precious time off the pump. If you haven’t checked through insurance to see if you qualify for a free breast pump and supplies, do so now by following this link! See more in-depth and guided breast pump reviews in my post, Best Breast Pumps According to An Exclusively Pumping Pro. Cordless and Portable Breast Pumps: Which ones are worth investing in? Let’s talk about cordless pumps, they do exist! According to my exclusively pumping Facebook group, the BabyBuddha breast pump was the game changer for them. One-click buy on Amazon and it was in my hands a couple days later. Here is your discount code for BabyBuddha products. After hacking the BabyBuddha to adapt with the Freemie Collections Cups I had just bought, I powered on. This little pump was powerful! 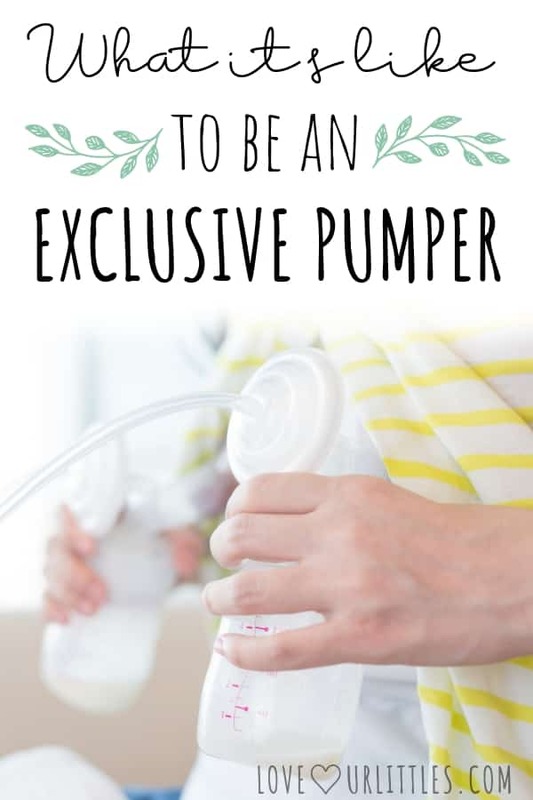 I now knew why other exclusively pumping moms swore by this pump! The portability and freedom it offers is amazing! For many breastfeeding moms going to back to work and maintaining your milk supply is a concern. Pumping at work is uncharted territory for most and it can bring on a lot of anxieties for many different reasons. Of course you don’t want to lose the supply you worked so hard to establish as an exclusive pumper! Your main goal is to continue to provide breast milk for your baby while you are away from the home and working. If you’re feeling overwhelmed and anxious about transitioning back to work while pumping, here is the best back to work pumping resource I can’t recommend enough! As I said before, this journey is a challenge! It has taken more determination, research and selflessness I ever thought I could expend. Pumping around the clock, 24/7 with a new baby is emotionally and physically exhausting. It is hard to put words to or explain properly to our spouse, friends and family what exclusively pumping is really like. Those of us who have taken on this feat for the love of our little pumplings, can attest that we feel it’s worth it and is no less applaudable than the traditional way of breastfeeding. I could go on and on about this topic, as I said, there is so much to know and learn. I just barely scratched the surface here on what I have come to know. Breast Pumping for Beginners that will Pump You Up! By the way, your pump will start to talk to you. The expression of air and rhythmic sequence will begin to form a repeatable phrase. Depending on your mind set, it can say some insidious things to you. Choose to hear your pump being that positive cheer leader, rooting you on! After all, you’ll be spending more time with your breast pump than anyone or anything else for quite a few months, might as well make it your breasts’ friend instead of an enemy. Don’t go without getting your exclusive discount code for BabyBuddha! Set yourself up for success and grab a seat in The Essentials of Exclusively Pumping. Pin for later and share! The Best Concealable and Hands-Free Pumping Options: No More Pumping Bra! The content of this website is for informational and entertainment purposes only. This isn’t medical advice and if someone relies on it to their detriment, I am not liable. Love Our Littles is a participant in the Amazon Services LLC Associates Program, an affiliate advertising program designed to provide a means for sites to earn advertising fees by advertising and linking to Amazon.com.